“I have Windows 8 and Office 2013 with Outlook. Since upgrading I seem to be having a few problems syncing my calendars as well as sometimes my mail will not appear unless I close and open Outlook. Well, it is a great opportunity to assist you! As per my understanding, you are facing issues with Outlook 2013 PST on Windows 8 and you’re unable to locate the inbox repair tool ScanPST to fix Outlook 2013 PST file. 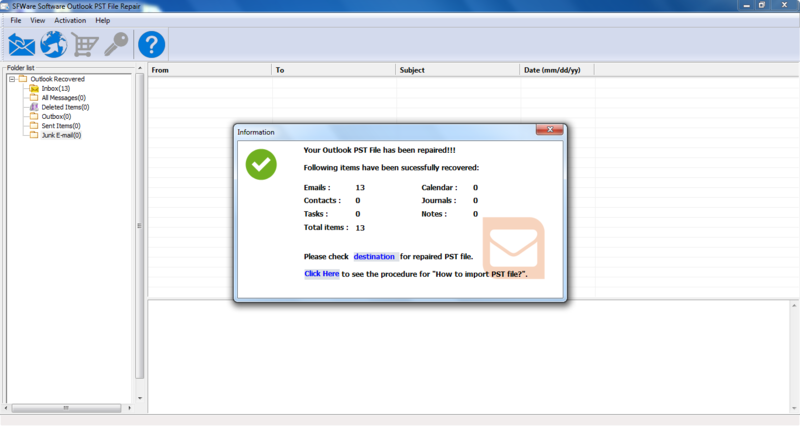 Even though Outlook 2013 appreciate to work with larger PST files, it will be safe to keep the PST file size in limit. If it crosses the limit, then also Outlook 2013 PST file corruption happens and the file would be unreadable. What if the inbox repair tool fails in repairing Outlook 2013 PST file on Windows 8? Well, this guide walks you through the repair process and gives recommendations what to do to when the Inbox Repair Tool fails and how to prevent PST file corruptions from happening in the future. 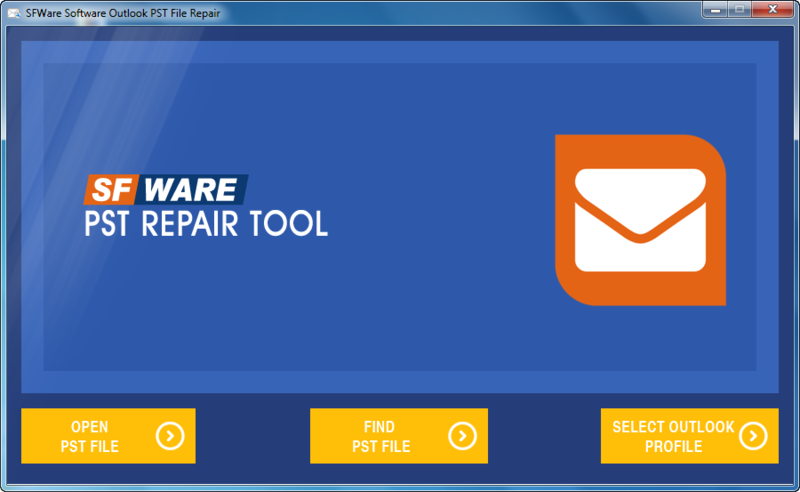 SFWare PST Repair Tool for fixing Outlook 2013 PST File on Windows 8! 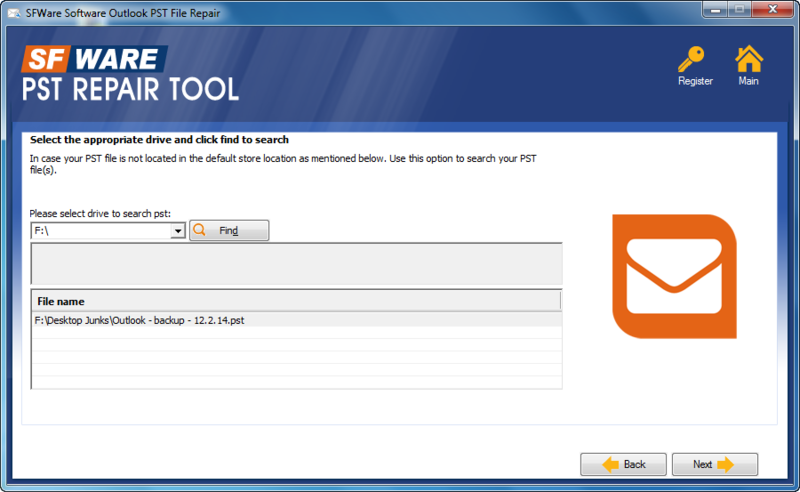 SFWare PST Repair Tool is the most appreciated software available online. 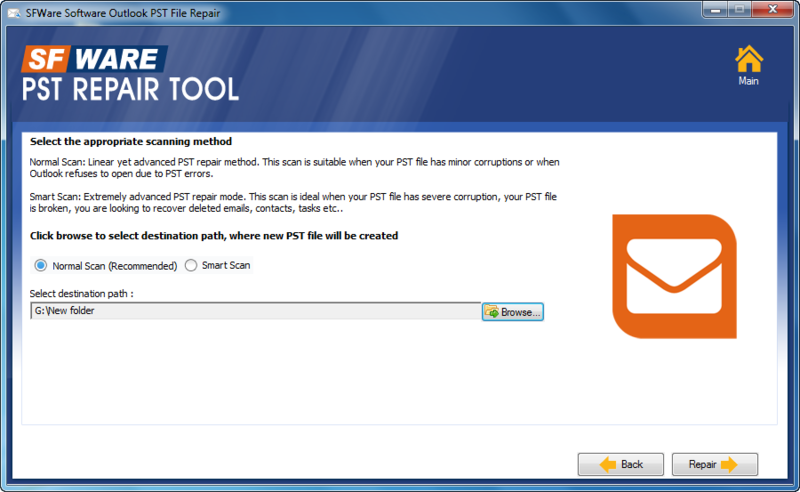 It will fix PST file without ScanPST created on Outlook 2013 easily and swiftly. In addition to this, it has friendly user interface which will help you to carry out Outlook 2013 PST file fixing process without any difficulty on Windows 8. What’s more, apart from Windows 8, it will also help to repair PST files on other Windows OS versions like Windows 10, 7, Vista, XP, etc. It has been designed using advanced mechanism which will fix the major corruption issues of a typical Outlook 2013 PST file without damaging any of the items present on file. It is also be able to perform repair process for a PST file created on various versions of Outlook like 2000, 2003, 2007, 2010 along with 2013.